In an effort to conserve Guatemala’s wealth of natural resources and support the country’s efforts to mitigate the impacts of climate change, the new Climate, Nature and Communities in Guatemala (CNCG) Project was launched today. CNCG will invest $25 million in Guatemala over the next five years between 2013 and 2018. This is an initiative of the United States Agency for International Development (USAID) to support Guatemala. This project will be implemented by a consortium of environmental, academic and business institutions led by the international conservation organization the Rainforest Alliance, together with Fundación Defensores de la Naturaleza, Universidad del Valle de Guatemala, the Guatemalan Exporters’ Association (AGEXPORT), The Nature Conservancy and the World Wide Fund for Nature (WWF). The aims to promote climate change mitigation by improving management of natural resources and biodiversity conservation, building institutional capacity, and strengthening policy and legal frameworks. Assistance will be focused in the Western Highlands, Maya Biosphere Reserve, the Verapaces, and Sierra de las Minas Biosphere Reserve. The program will concentrate on the advancing Reducing Emissions from Deforestation and Forest Degradation (REDD+), sustainable forestry management and other environmental services, such as tourism value chains, promoting a Low Emission Development Strategy (LEDS), reducing vulnerability to climate change, and building local institutional capacity. The Rainforest Alliance is a growing network of people who are inspired and committed to working together to achieve their mission of conserving biodiversity and ensuring sustainable livelihoods. Through creative, pragmatic collaboration, they aim to rebalance the planet by building strong forests and healthy communities around the world. Companies, cooperatives and landowners that participate in their programs meet rigorous standards that conserve biodiversity and provide sustainable livelihoods. The Rainforest Alliance’s work is guided by their understanding that the health of the Earth is linked to the well-being of those whose livelihoods depend on the land and forests. As everyone has a vital role to play in strengthening this relationship, they provide training to farmers and foresters, work with businesses committed to sustainability, and motivate citizens to adopt sustainable lifestyles. Their efforts to build strong forests and healthy communities are making a difference. From their earliest days in the tropics of Central America, they've grown their alliance by partnering with forest and farming communities, governments, and companies to conserve critically important forests and cultivate sustainable livelihoods. Today, they conduct training, certification, and verification in 78 countries around the world. The number of individuals trained in best management practices during Rainforest Alliance agriculture, forestry, carbon, and tourism projects, or through SAN/Rainforest Alliance certification. By connecting conservation to life! The Rainforest Alliance Certified seal of approval makes it easy for consumers to know they are buying a product that has been grown or made sustainably. The companies who sell these products also make sure their customers know they are good neighbors in their communities, and that they take care of their workers and protect the environment. 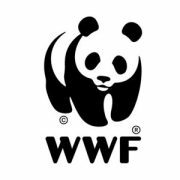 • They've protected more than 119 million acres of land and 5,000 miles of rivers worldwide — and they operate more than 100 marine conservation projects globally. • They work in all 50 states and more than 30 countries — protecting habitats from grasslands to coral reefs, from Australia to Alaska to Zambia. • They address threats to conservation involving climate change, fresh water, oceans, and conservation lands. Learn how they are responding. • Everything they do is rooted in good science — aided by their hundreds of staff scientists. • They pursue non-confrontational, pragmatic solutions to conservation challenges. • They partner with indigenous communities, businesses, governments, multilateral institutions, and other non-profits. • They have the support of more than 1 million members who enable them to continue working on a scale that matters and implement solutions that endure. • Northern Grasslands - Northern Australia covers more than 247 million acres — larger than California, Colorado and New Mexico combined — this is one of the planet’s last great natural areas. • Great Western Woodlands - Located in the southwestern corner of Australia, the "mega-diverse" Great Western Woodlands comprise the world's largest remaining piece of mediterranean woodland. 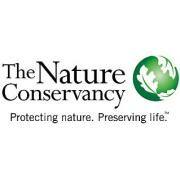 The Nature Conservancy works in all 50 United States and more than 30 countries to preserve the plants, animals and natural communities that represent Earth's diversity of life — by protecting the lands and waters they need to survive. The Guatemalan Exporters Association is a private non-profit entity, established in 1982; that represents, promotes and develops non-traditional exports of Guatemalan companies. It provides high level assistance services to the exporters, serving the business community at-large in international trade activities and investments, whether in Guatemala or abroad. 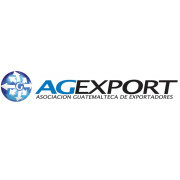 AGEXPORT represents dynamic and innovative Guatemalan entrepreneurs that participate and compete in world markets, and also those companies preparing to export. Its vision is to "Develop Guatemala as a world exporter" through the promotion of exports based on competitiveness; thus contributing to the economic and social development of Guatemala. Its mission is Promote exports growth based in competitivity, contributing this way to Guatemala´s economic and social development in a sustainable manner. Promote and support the development of Guatemalan exports. Provide services that contribute to the development of the export community, as well as to promote new entrepreneurs to focus their activities on the international market. Promote the establishment of national strategies and policies that foster exports. Create awareness within private and public sectors, of the benefits that non-traditional products exports provide to the economic and the social development of Guatemala. Fundación Defensores de la Naturaleza is the environmental organization with more years of experience in Guatemala, it has been administrating and carrying out conservation activities for more than 28 years. It is considered that its work has contributed to the conservation of 80% of the flora and fauna species reported in Guatemala, and to the management of more than 87 water sub-basins that supply water to more than 500,000 inhabitants. At present it is responsible for the protection and management of four protected areas in the country: Sierra de las Minas Biosphere Reserve, Bocas del Polochic Wildlife Refuge, Sierra del Lacandón National Park, and Naciones Unidas National Park. Defensores has been working in the creation and management of private and municipal protected areas, mainly in the dry pine forest of the Motagua Valley. The work of Defensores has helped to the conservation of the biological richness and integrity in more than 5% of the national territory, an area almost the double in size of the department of Guatemala. It also encourages and supports regional conservation initiatives. The University of the Valley of Guatemala is a private institution, non-profit and is unrelated to any political or religious activity. Work with the authorization granted by the Political Constitution of the Republic of Guatemala and the Law of Private Universities. It is governed by its bylaws and regulations and by the agreements issued by its Board of Directors. The University of the Valley of Guatemala welcomes teachers, professionals, researchers, scientists and students selected for their intellectual ability and for their interest and dedication to the academic work. From its beginnings the Universidad del Valle de Guatemala wanted to be an active force in the development of higher education as a vanguard institution, promoting experimentation in teaching methods and organizational systems, conducting far-reaching research and training people Highly trained for educational development. 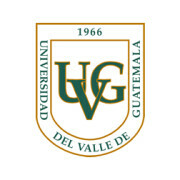 Shortly after its founding, the University of the Valley of Guatemala created its first three faculties: Sciences and Humanities, Social Sciences and Education, and the University College, being clear the intention of the new university to establish itself as a center of dedicated higher education The development of basic and social sciences, and the resolution of national educational problems. On September 29, 1972, the Association of the American College of Guatemala became the Foundation of the University of the Valley of Guatemala, assuming the sponsorship of the American Colleges in Guatemala and in Escuintla and the Universidad del Valle de Guatemala. The UVG began with six students and currently has more than 4,000 in its three venues (Guatemala, Escuintla and Sololá). The first stage of construction of its buildings in Vista Hermosa III began in 1974 and the second phase began in 1981, continuing to date as growth in enrollment requires it. In 2005 the Faculty of Engineering was founded, currently the largest number of students and programs. At present the Research Institute contributes to the solution of national problems in its ten centers, within which work 21 specialized laboratories. In addition, there are four independent units that serve as support. In 1955, with the support of the sugar industry, the UVG opened a second campus, the Southern Educational Program (now South Campus), located in Santa Lucía Cotzumalguapa. The American South College, the Language Center, the Technological Institute of the University of the Valley, the Faculty of Engineering with two undergraduate programs and the Master in Production and Poultry and Livestock Management, and the Faculty of Education with several Teachers and the degree in Education. In 2000 Sololá started the Universidad del Valle-Altiplano, located in the former military base of Sololá, closed in accordance with the 1996 Peace Accords, where the Faculty of Education operates with programs in Specialized Teachers in Primary Education, Bilingual Primary Education Intercultural and in Mathematics and Computing, the Specialized Teacher in Physical Education, Sport and Recreation and the degree in Education; The Faculty of Engineering with a degree in Engineering in Agroforestry Technology and the Technological Institute that offers the degree of University Technician in Agroforestry. Also the Faculty of Sciences and Humanities offers the career of Technical University in Tourism. The Universidad del Valle has been characterized as an institution that seeks academic excellence with values ​​and criteria of help for all students through financial aid and scholarship programs for gifted young people of limited resources. Consequently FEDECOVERA takes care of more than 140,000 people. FEDECOVERA is a second level cooperative with the same structure as its cooperatives-partners. Thirty-six years ago, FEDECOVERA started working 4000 coffee and cardamom producers. Build long-term partnerships with customers that share the same interests and values.